The Shoe Surgeon is back at it creating one of a kind kicks for LeBron James. 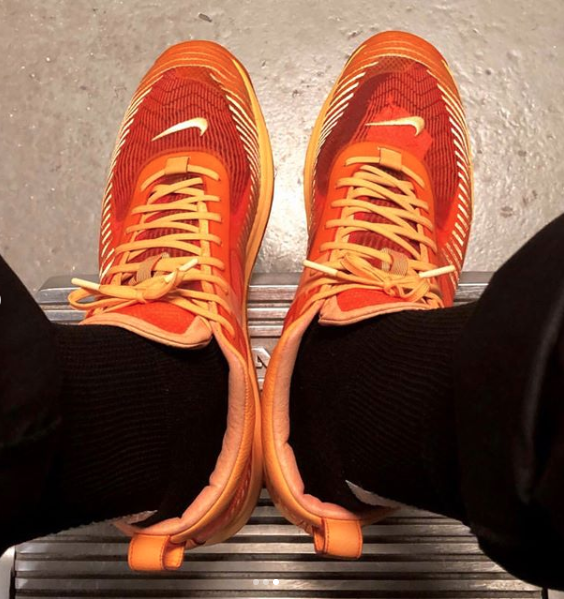 This time we see him take the LeBron x John Elliott Icon and dip-dyed them orange for the King to wear on his latest HBO show, The Shop. Check out the $100,000 LeBron 15s created by The Shoe Surgeon for the King as well.